Jesús de Jiménez has followed a consistant line of selection and construction in terms of what materials are used is concerned, offering a carefully selected variety of woods for both body (and sides) and tops. 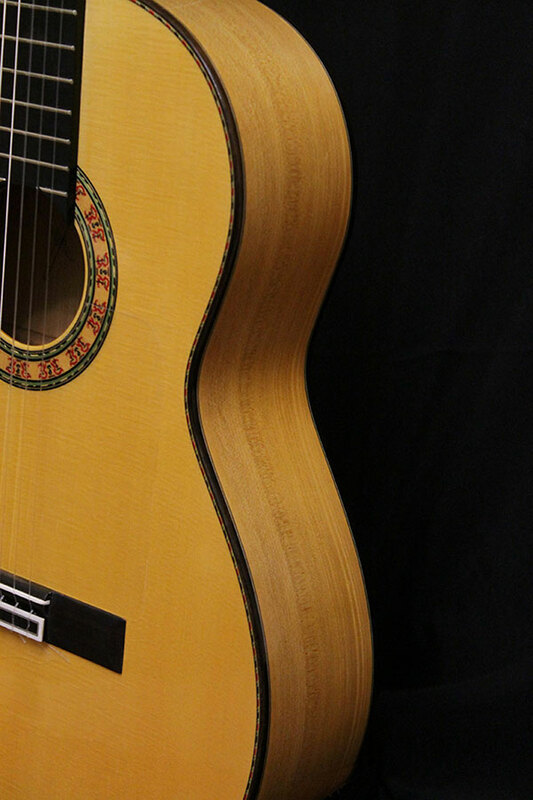 Woods frequently used to make the highest quality instruments include cypress, rosewood from Madagascar and spruce in the case of the “tapa armonica” or top. 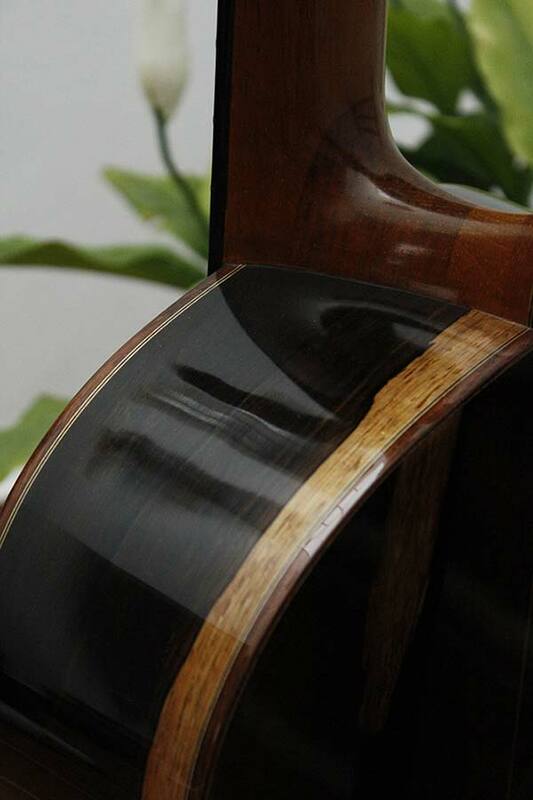 Woods of the highest quality are used in each and every one of the guitars, resulting from a refined selection process looking for optimum curation, physical properties and ideal texture. Clearly this process is designed to create the best possibility of achieving that old and eternal sound which is particularly characterized in the signature instruments. This approach to the selection of materials allows the stunning finishing to go hand in hand with the quality if of the sound. When you’ve built a considerable number of guitars you become aware that it’s not the luthier who has the last word on the quality of the guitar but the guitarist. 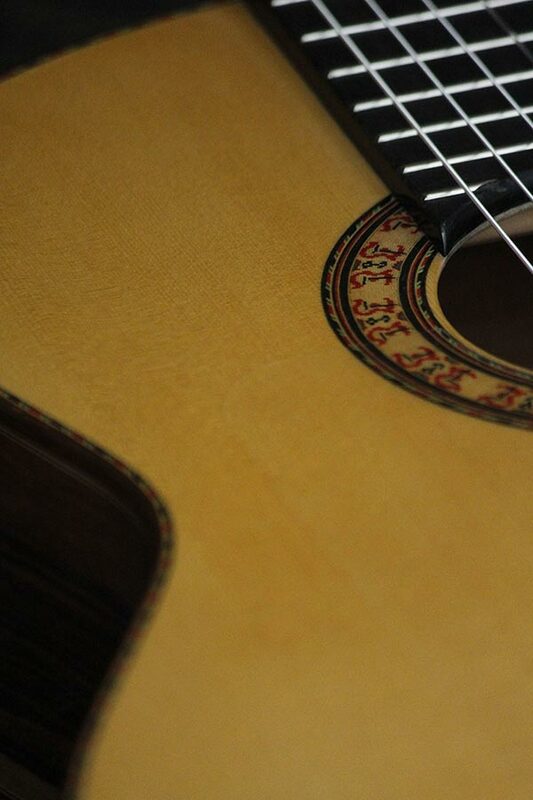 It is the guitarist who knows, and will tell you, how good the guitar is or is not. It became clear to me that I had to shape what was going round and around in my head; there have been many hours of study, endless talking, travelling and modifications looking for the right balance and comfort. There has been a long list of details and nuances which I have attempted to address by my association with both Dani ” El Niño de Pura ” and Manolo Franco. Both maestros have allowed me to produce two series of valuable instruments built to the exacting criteria of each. Being two of the most important figures in the world of flamenco guitar today it is a special privilege that these instruments will be certified with their signatures. I am proud and grateful that these two friends have been able to share with me their experience and expertise and allowed me to go forward with this project. Edition limited to twenty five units of each series.